The Hen Harrier persecution continues in Scotland, England and Wales. There’s been lots on social media about what’s happening and last week the RSPB issued a paper on what they see as an impartial viewpoint on the state of driven grouse moors. It has to be remembered the days of a small bag of grouse on an afternoons ‘entertainment’ on the moors are long gone. This is an industry. What I’d thought I’d do is unwrap the salient environmental points raised to make the situation easily and quickly understood. The management of driven grouse moors has benefits for some waders. Some predators are legally killed to increase productivity. Statistics indicate some predators including Peregrines, Red Kites, Golden Eagles and Hen Harriers are illegally persecuted to increase productivity. Grouse Moors are a major originator of our fresh water. Grouse are treated against worm infections by use of chemicals and there is concern that these chemicals are entering the wider environment. 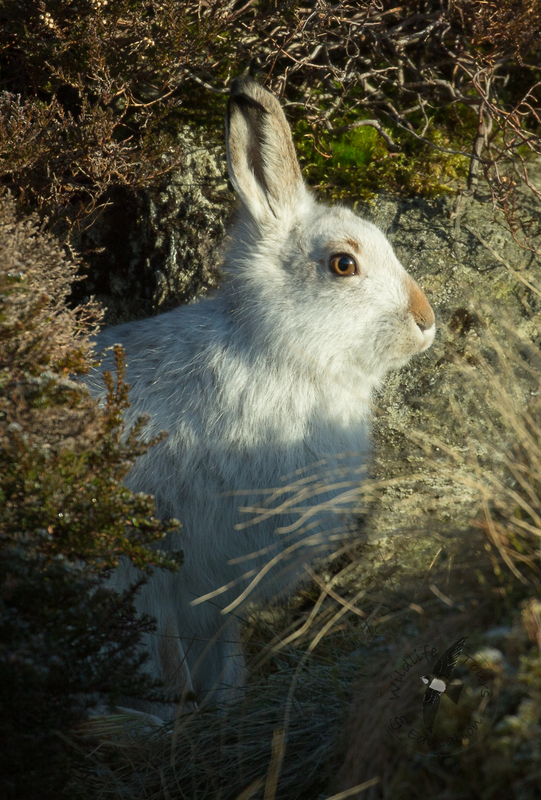 To aid tick infection of Grouse Deer and Mountain Hares are culled. Driven Grouse moors may be breaking article 7 within the EU bird directive designed to protect the habitat. There is little or no legislation covering the grouse moor industry. The burning on deep peat areas to achieve new bud growth on heather, which grouse feed upon, is breaking government regulation. Please read the full paper for an in depth picture. http://onlinelibrary.wiley.com/doi/10.1111/ibi.12356/epd I feel it’s now important we get this discussed in parliament and legislate the industry. I don’t often ask anything of ‘Letter from Norfolk’ readers but I strongly urge you to sign too. If this doesn’t work more direct action may need to be taken to stop persecution of Hen Harriers and Mountain Hares. The situation has got to a disgusting state and is out of control. This Red Grouse as taken on our Scottish Birders Long Weekend last April. Hares are enigmatic creatures wrapped in folklore. Perhaps it is their mystique that makes them so appealing. During our trip to Scotland last weekend on the Cetacean Tour we saw several. These were Mountain Hares; not white as we usually see them on our April Bird Watching Tours but donning their silver summer pelage. Now, before I generate a picture of a Hare bounding over a series of breaking waves like some adapted Guinness advert; I’d like to point out that the tours I run are headlined by a particular species or group of species. Last weekend it was cetaceans. However, if something lands in our lap like this Mountain Hare leveret we wouldn’t ignore it. To simply pass it by without so much as a sideways glance would be unthinkable. Mountain Hare – just one of the 14 species of Mammal we saw on our four day tour which included Bottlenose Dolphins and Pine Marten. While we were in the Scottish Highlands last weekend we saw a magical animal. I love watching Hares at anytime but combine the moment with one that turns white in winter and adapts itself so well to its environment then they becomes irresistible. The Mountain Hare evades its nemesis, the Golden Eagle, by sitting motionless and becoming a rock. We found this one in an undisturbed part of the mountains. The only thing that gave it away was the neat row of footprints leading to its hiding place.